There’s really no such thing as a super Mom. We try our best, and we need help finding ways to make more time and save more money. 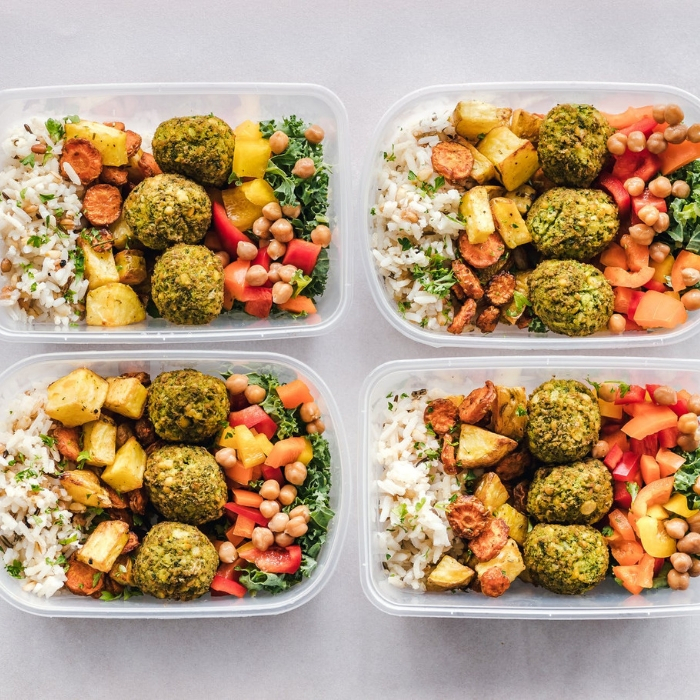 Meal prep is a great place to start and it’s absolutely doable, too. Imagine feeding your family with cheap, delicious, and healthy meals straight from your kitchen to the dinner table. 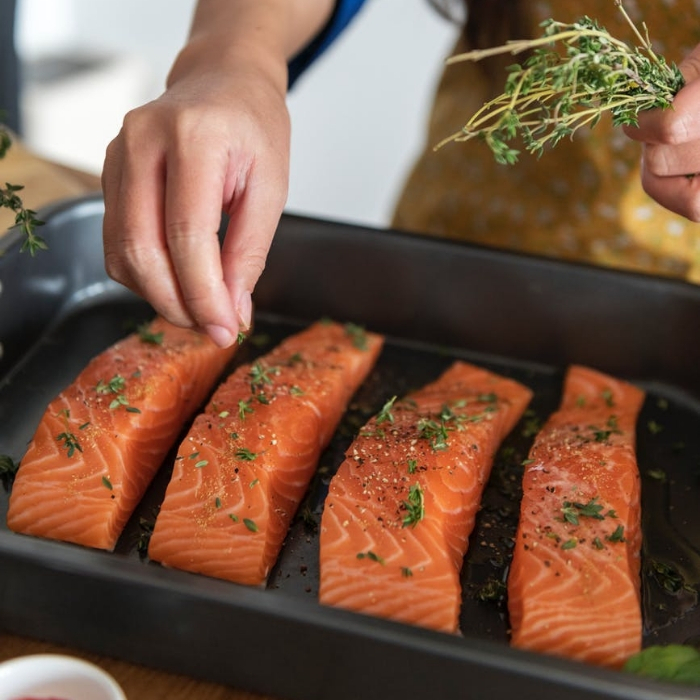 With these 6 Tips to Save Time With Meal Prep you’ll be set, these tips will have you saving money and time on family meals with mush less effort. You don’t need a personal chef to serve delectable meals — even for picky kids. With these tips everyone will be a happy camper when it comes to meals, even you! When you know your family and you’re prepared for each meal, there’s much less worry and fuss than trying to choose between pizza and tacos with picky eaters. 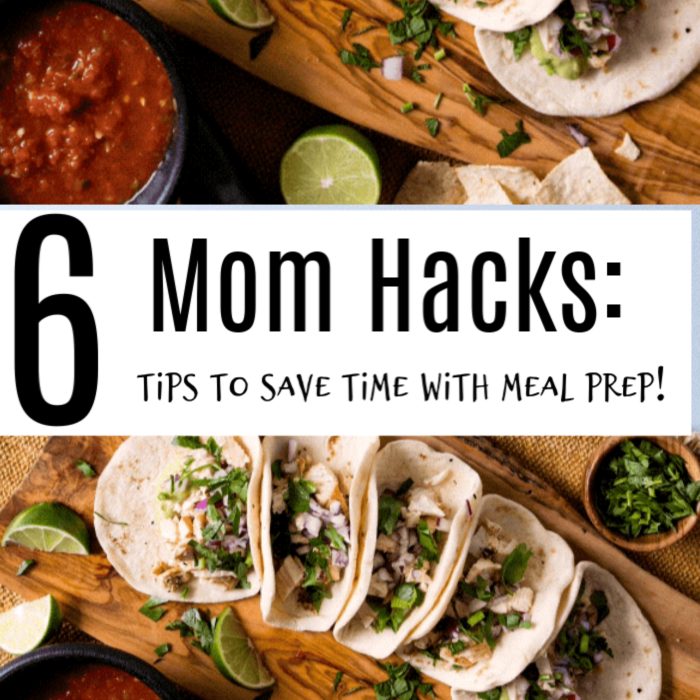 Mom hacks to get things done quickly, too.If you’re always running from your house to your car and to your office, chances are, you often rely on instant food or worse, fast food choices. There’s no problem in feeding your family with these foods. But, if you’re consistently serving them, it may not be healthy especially for your growing kids. You can still feed your family healthy food choices even if you’re a busy mom. All it takes is a little advanced planning, shopping, and prep work. Meal planning can save you time and money. It can also reduce any food waste. But, don’t start thinking “I’m already so busy, how in the world can I add this into my day?”. Meal prep actually helps you save time, gives you more valuable time with your family that you can’t get back if everyone grabs a fast food item and heads to their room. 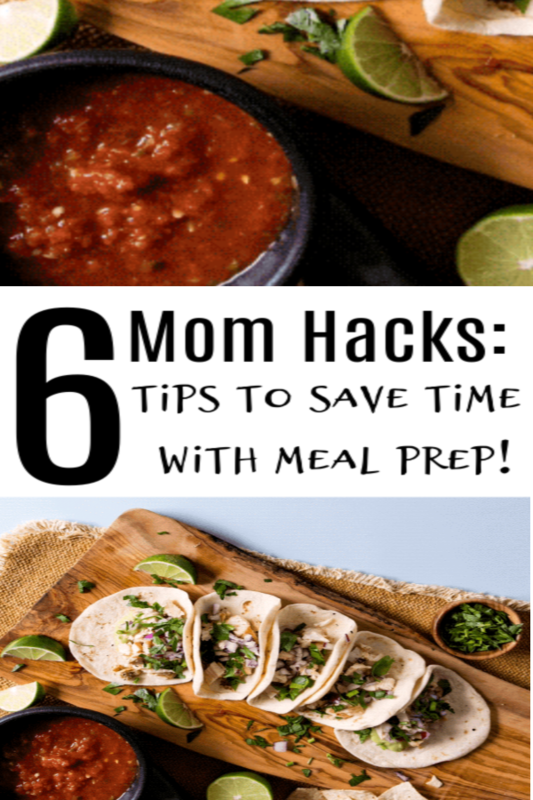 Believe it or not, you can serve three meals a day, with snacks included, without overwhelming yourself and sacrificing your schedule with these 6 Mom Hacks: How to Save Time With Meal Prep tips. 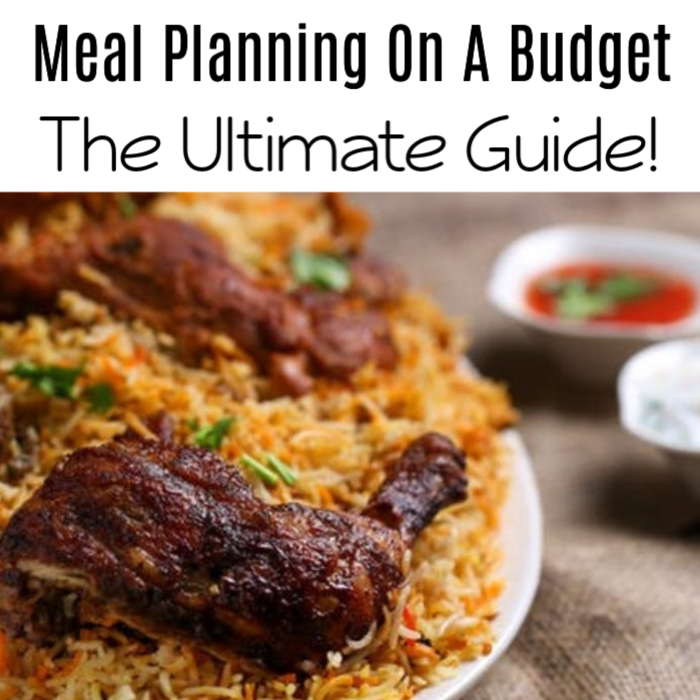 You Might Also Like: Meal Planning On A Budget: The Ultimate Guide! It’s important to plan your meals ahead of time. 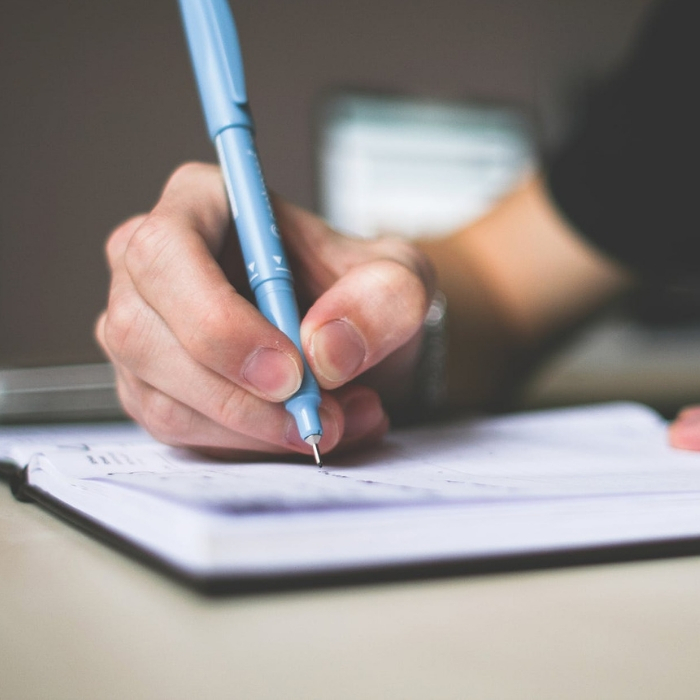 Planning a week ahead is a great idea but if you don’t have enough time, a few days of planning can still make a big difference. Planning ahead will not only help you save time and money, it also stops you from making a quick call to the nearest pizza joint or ordering drive-thru if you don’t have anything for dinner. 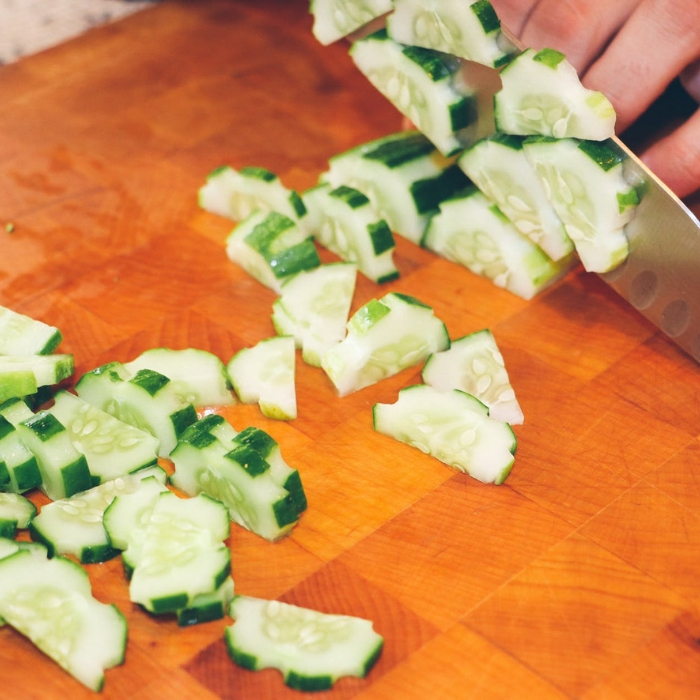 You can save cooking time if you’re preparing all the ingredients beforehand. Small things, when added together, can make a big difference and will save you a lot of time later. Once you go on your once a week or once a month grocery shopping trip, wash all the vegetables and fruits before you put them away in their proper storage. Slice all celery, carrots, and vegetables. These food items can be used as a quick snack for kids or as lunch fillers. Cutting vegetables in small pieces and storing them in zip locks save you time. Cook chicken breasts then shred or cube them before putting in freezer bags. These pieces can be used for lunch and dinner food like pastas, quesadillas, nachos, sandwiches, fried dishes, stews, or pizza toppings. You can also use this technique for fish and beef. Fry some hamburger then keep it in resealable freezer bags. You can use it in chili’s, spaghetti sauce, soups, or casseroles. Buy frozen vegetables. You can use them in cooking stews, stir fry or roasts. You can also steam them and serve them as side dishes. Rub marinades or spices on your meat, separate in meal portions, then store them in freezer bags. Once you’re ready to cook, just thaw and cook. A list is your friend when trying to stay organized. You can use your smartphone to make your list, so you never forget it. 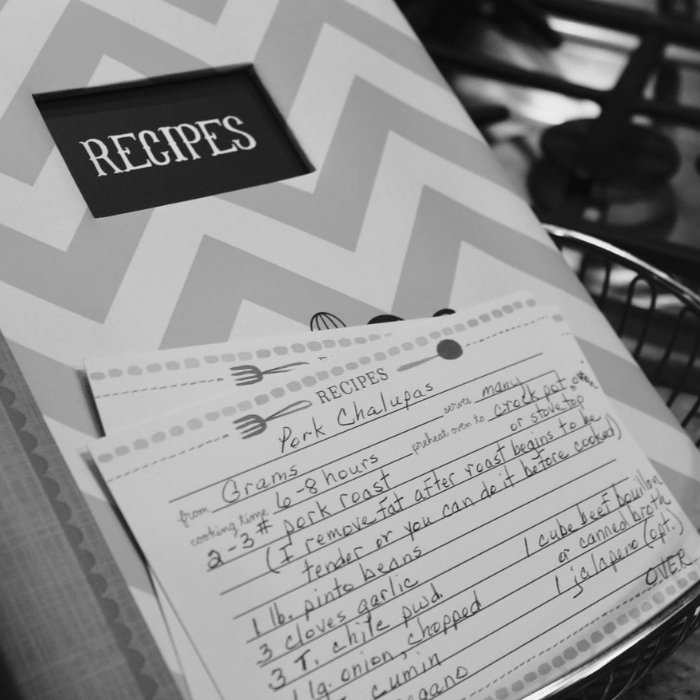 Plan your meals and write them down by dates. Make a list of everything you need for each meal. Before shopping, check your pantry and fridge to see what you have and what you need. This will eliminate overspending as you’re only buying what you don’t have and using what you have on hand. that is another great Mom hack. Fruits and vegetables with hummus are ideal for snacks yet they’re not difficult to prepare. I could not live without a slow cooker, I think I currently have 4 different sized ones. Buy a slow cooker! It’s essential for busy moms. 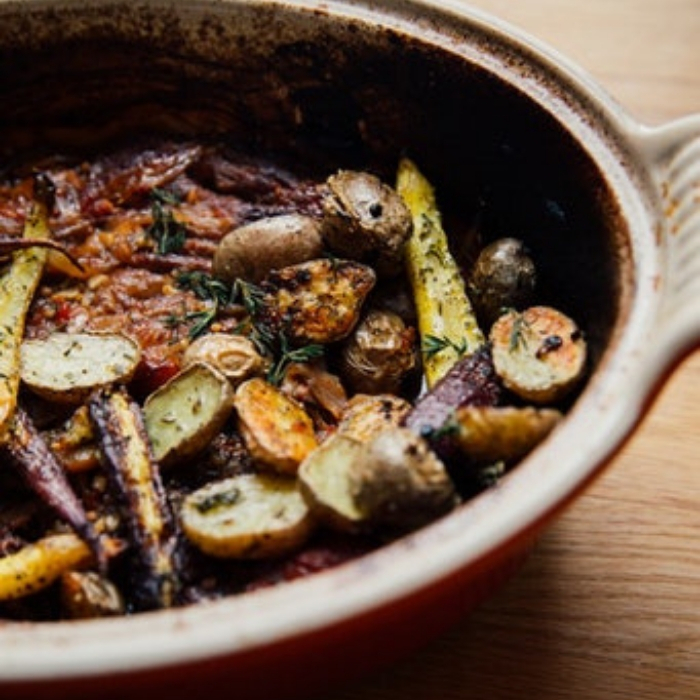 Preparing one-pot meals are easy and delicious. There are a lot of recipes that require only a few ingredients. Just dump them in your slow cooker, go on about your day, and return with a ready meal that you can serve to your family. Using the same ingredients for a variety of meals for the week is a great way to save time and money. Prepare hard-boiled eggs in batches and store them in the fridge. You can use them for breakfast, as a healthy snack, or as an additional ingredient for your salads and sandwiches. If you have enough time during the weekends, prepare freezer meals that you can just heat up during the weekdays. You don’t need to devote a full day to prep these meals — your kids can even reheat them on their own. Double all your recipes. There are a lot of recipes that you can easily cook in bathes: Soups, chili, spaghetti sauces, lasagnas, and even pies. Make an extra serving of waffles, pancakes, cookies, and muffins. Cookie dough can be made into balls and frozen. You can cook them for a later time with the same fresh-from-the-oven taste. Store the extra in the freezer. Leftovers are your best friend. During the nights when you have the time and energy to cook, cook in bulk then refrigerate the leftovers. 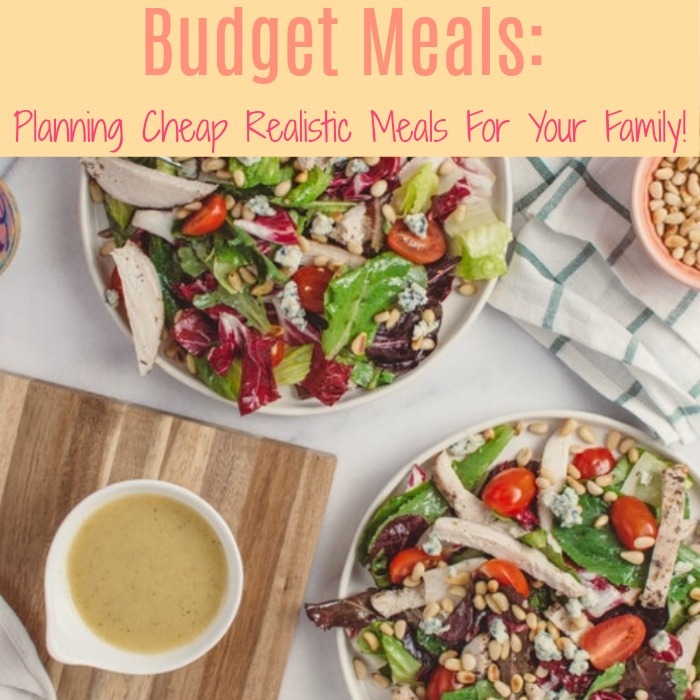 You Might Also Like: Budget Meals: How To Plan Realistic And Cheap Meals For Your Family! Following these tips can go a long way! They can help you save time and money while still serving your family healthy and delicious meals. What are your favorite Mom hacks you can share with us?